Welcome to DePaula Chevrolet, the best new and used car dealership in all of Albany, NY. At DePaula Chevrolet, we realize that you have options as to where you will purchase your next new or used car from, with plenty of area car dealerships for your consideration. When it comes right down to it, more buyers are inclined to come down to DePaula Chevrolet, because they know that all of their new and used car needs will not only be met, but exceeded. When you trust DePaula Chevrolet with your new and used car buying needs, you will rest easy knowing that you chose a car dealership that puts the needs of their customers first, every single time. We are located here in Albany, NY at 785 Central Avenue, just minutes away from I-90, and highway 85. Our convenient location is just the beginning of the unending benefits our customers receive when they trust DePaula Chevrolet with their next new or used vehicle purchase. We stay open until 8PM Monday through Thursday, giving you more time and flexibility for your car buying journey. A new or used car transaction is not a purchase that should ever be rushed, which is why DePaula Chevrolet remains open later than other area dealerships. On top the convenience of our location and sales hours, here at DePaula Chevrolet, we pride ourselves on the many benefits we deliver to area residents who come down to our dealership. Our Preferred Customer Program includes perks such as new car savings, complimentary service dollars, and discounts on parts, accessories, and service. Even if you are not a DePaula Preferred Member, all of our customers receive transparent, up-front pricing, instant cash offers on their current vehicles, and exceptional customer service that is available around the clock. While other area dealerships are sleeping, DePaula Chevrolet is here and waiting to help answer any questions you may have, even if they strike at three in the morning. Along with the many benefits that DePaula Chevrolet customers receive, we also realize the importance of providing area residents with information that can be beneficial to their car buying journey. On our blog, you will find great resources regarding everything from buying new, used, having repair work done, as well as the latest news pertaining to our favorite bowtie brand. Here at DePaula Chevrolet, we believe that information is powerful, which is why we also believe in equipping our customers with knowledge that they can utilize in a real way. Another major point of pride for us here at DePaula Chevrolet is the overwhelming support of our past and current customers. With a near perfect score on two of the most influential online review sites, our dealership is not only capturing the attention of local car shoppers, but also industry experts. DePaula Chevrolet is the six time winner of the Chevrolet Genuine Leader Award, the five time recipient of the GM Dealer of the Year Award, the seven time winner of the General Motors Standards of Excellence Leadership Award, and we earned the General Motors Mark of Excellence Award, also seven times. While some buyers may be interested in what these industry experts have to say about DePaula Chevrolet, others are more intrigued by the past experiences of our actual customers. DealerRater.com is one of the highest regarded automotive dealership review sites, and we are proud to say that we have earned a 4.8 star rating, out of five. With over 250 reviews contributing to that score, DePaula Chevrolet has earned an Excellent rating from the website, with 97% of our customers recommending us to their friends and family. If you head over to check out our reviews on Google, we are also proud of our 4.7 star rating out of five, which is based on over 740 reviews written by actual DePaula Chevrolet customers. We also have received high customer ratings on Edmunds.com, Yelp.com, and from the Better Business Bureau. When it comes time to purchase a new Chevrolet car, truck, or SUV, you know that you will only be getting the best service and highest customer satisfaction when you choose DePaula Chevrolet. Our previous customers have raved about their experiences with us here at DePaula Chevrolet, praising our “amazing staff,” our “excellent service,” and our “hassle free experience,” just to name a few. Any dealership can feign interest in the well being of its customers, but with over 1,000 positive reviews written by real people, DePaula Chevrolet doesn’t have to pretend. We offer genuine customer care, satisfaction, and positive car buying experiences, to all of our customers, each and every day. 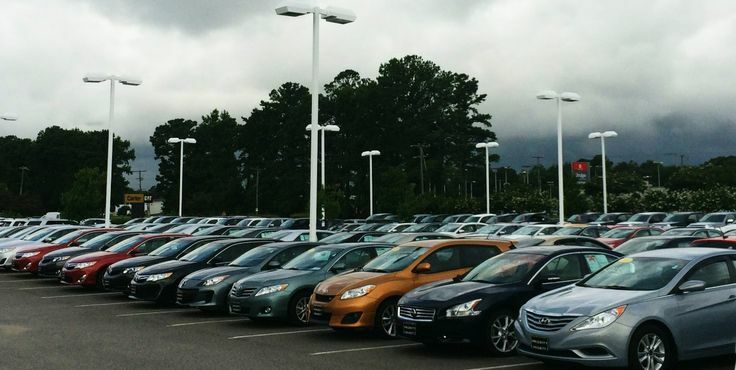 Buying from a car dealership that is well known for their outstanding commitment to customer satisfaction is a great place to start, but it is also important to consider what they have to offer in terms of available inventory. At DePaula Chevrolet, we keep a large inventory of high quality used cars, trucks, and SUVs from nearly every major automotive manufacturer, as well as the newest lineup of Chevrolet models for you to choose from. Whether you are looking for a brand new 2017 Chevrolet Silverado, or a high quality pre-owned Ford Focus, you will find it right here in Albany, NY, at DePaula Chevrolet. As a Chevrolet dealership, DePaula Chevrolet provides buyers with Certified Pre-Owned Chevrolet brand vehicles that are held to the highest possible standard for quality, reliability, and dependability. Buying a pre-owned car that has undergone a multi-point inspection, a thorough reconditioning process, and is backed by a manufacturer warranty, will provide you with a peace of mind you won’t get with any other used car, truck, or SUV. That type of peace of mind is not just available, it is waiting for you right here at DePaula Chevrolet. There is nothing worse than heading out on an exciting car buying journey, only to discover you are unable to afford what you have your heart set on driving. With our virtual online showroom, buyers can explore all of their options prior to heading down to our dealership, so that when they walk through our showroom doors, they are confident in their next new or used vehicle purchase. Many of the used cars we keep in stock feature sticker prices well below $15,000, allowing buyers with less flexible budgets plenty of great options to choose from. Rather than feel dragged down by your perceived limited budget, check out all that we offer here at DePaula Chevrolet, that is well within your financial comfort zone. Our friendly sales team is eager to assist you during your next new or used car purchase, and with unbeatable customer satisfaction reviews, a great location, and flexible hours, why would you want to go anywhere else? For over thirty years, DePaula Chevrolet has been the top choice of Albany, NY residents, and we would be honored to be your number one choice as well. Be sure to stop in today for all of your automotive needs. From new and used car purchases, to the best service center in town, DePaula Chevrolet is ready and waiting to show you what an exceptional car dealership looks like.